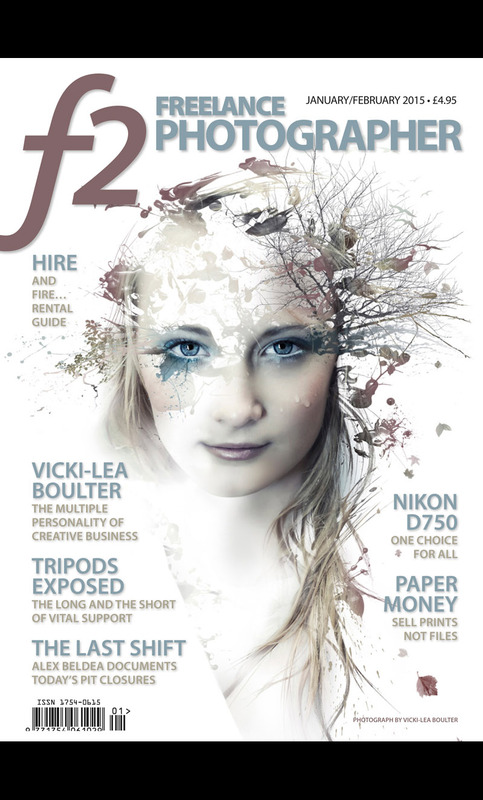 This edition features a article regarding the new VAT regulations that are set to come into force from January 2015 that will affect 'digital' sales for photographers, the feature looks at what the new regulations mean as well as talking to commercial photographer Tim Wallace and exploring his views on exhibitions and print sales. TIM WALLACE is internationally known for his automotive photography, though it’s been built on a history of an award- winning military career and a diverse attack on the advertising and commercial markets in hius second incarnation. His highest profile projects today are Aston Martin calendars, poster prints and books and it’s his car photography in general which generates most print sales to enthusiasts. 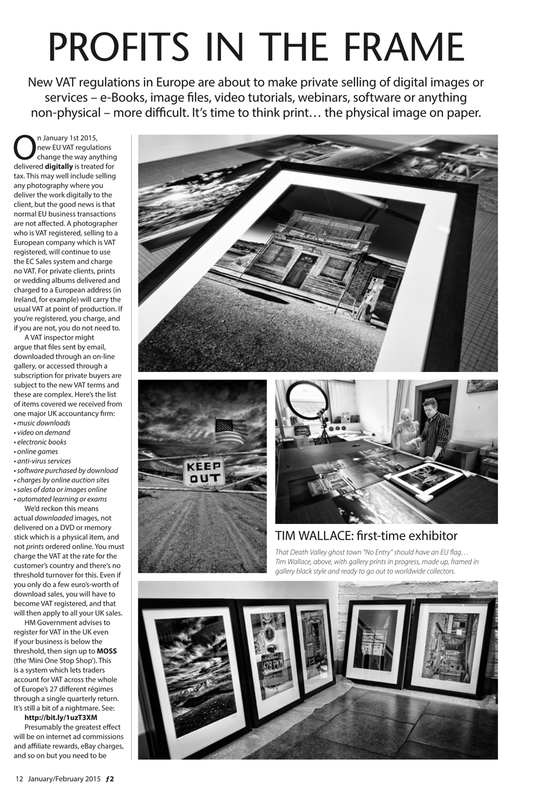 “Print sales are something that I have been involved in since pretty much the very start of my business. They come in many forms and can vary from requests from private individuals for their own homes to corporate companies who wish to have hard hitting images in their board rooms”, Tim tells us. “I also have a selection of organisations around the world who sell some of my private non- automotive work – this is mainly landscape and street photography, and they sell those and pay a monthly commission. is that its quite common to see an order come in from, say, a New York address and then a week later another comes in from a separate address close to that original one. “Good quality prints are the key here and you just can not beat a good sized well printed piece of work – done properly it will always attract attention”. 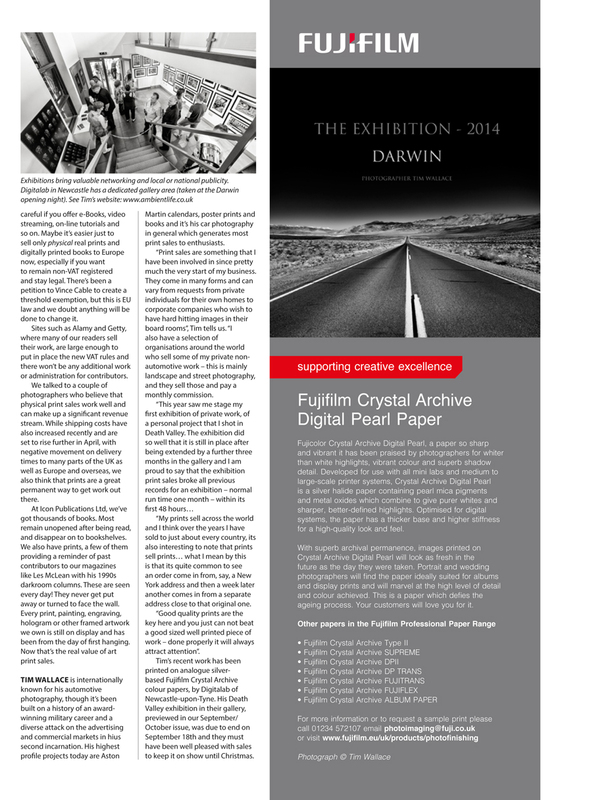 Tim’s recent work has been printed on analogue silver-based Fujifilm Crystal Archive colour papers, by Digitalab of Newcastle-upon-Tyne. His Death Valley exhibition in their gallery, previewed in our September/ October issue, was due to end on September 18th and they must have been well pleased with sales to keep it on show until Christmas.